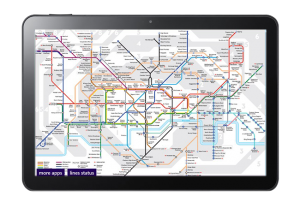 It’s here – London Tube Map is now available for Windows 8 and Windows Phone! 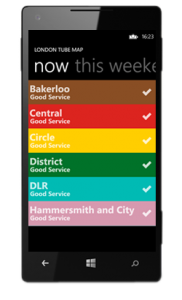 It’s not just the latest map of the London Underground any more, we’ve added a little something extra – live Line Status information so that you now see whether the District is jammo or the Bakerloo is fluid! The Line Status gives you live info and planned closures and disruptions that may be coming up at the weekend and of course the map is as zoomable as it ever was. 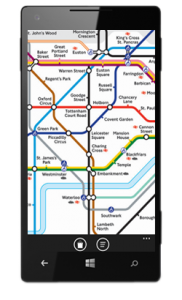 As with all our London Tube Map apps we don’t your money, this app is as free as it is on iPhone, Android, Blackberry 10 and bada! 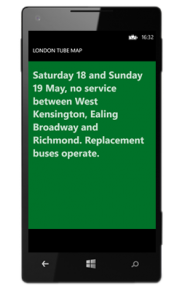 Get your London Tube Map now for Windows Phone or Windows 8.